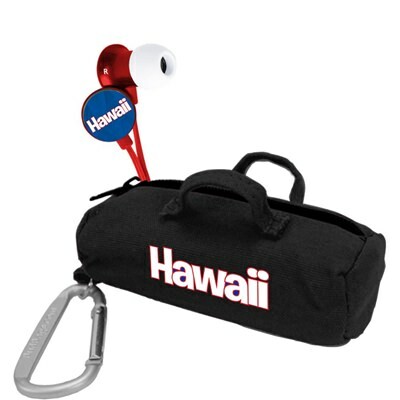 Treat yourself with our freebie gift item, the red Hawaii Islands Scorch earbud with black BudBag! With your qualifying purchase order, you will receive this fabulous free gift. You’ll just love this gift item due to its no tangle cords, rich deep bass sound, metal shell with high quality printing on the earbud head, attractive carrying case, and a handy carabiner clip to make transport easy. We hope you enjoy your free gift!